Please remember that the ban of the belly putter is only a proposal for the rules change in 2016 (the next time a rule change can take affect). So please do not throw out that belly putter, but it is a proposed rule. There will be a 90 day research period where the golf equipment companies, players, heads of state, and all other manner of golfing upper echelons will have time to try to persuade the USGSA and R&A why they think this is a great rule, a bad rule, or possibly an unnecessary rule. I currently use a belly putter. I love my belly putter, and I am still a crappy putter. I am in the likes of 33 average putts per round. That is a statistic that horrifies me, and I am willing to try anything to improve my putting. Therefore I am not a big fan of this proposed rules change. I believe that this is unnecessary and is an attempt to keep golf consistent with how the governing bodies believe it should be. HUH? The game of golf is historically a upper class male sport. Most of the golfers in the world have the money to play this game, and when you think of the quintessential golfer you think of a older white male with a stupid outfit on. I think the ban of the belly putter stems from this image. The governing bodies are not thinking of how a belly putter effects the game, but how it effects golf”s traditional image. A belly putter is unconventional, and is still not nearly as popular as the standard putter, but it is getting more and more popular with the younger players of the game. Check out college teams and even high school teams and you will find anchored putters. Before the long putter was a last ditch effort of a player whose game had left him, now it is the cool thing to do. This is what I believe the USGA and the R&A are trying to avoid…making something very unconventional a common place in the game of golf. Please be aware that this is just my opinion and a personal belief. 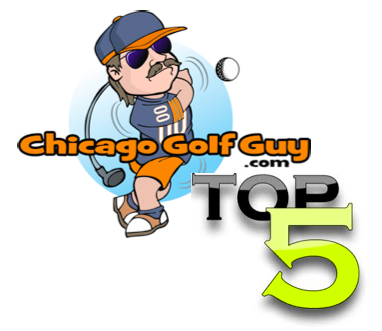 My goal for this golf blog and my writing in general is to explore my own golf game, and to bring some enjoyment to my fellow golfers, both in Chicago and around the world. 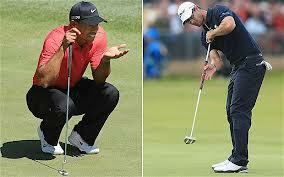 I do not think it is a huge advantage to anchor the putter, if it was every pro would do it! It is something that is a matter of choice, and I really hope that the governing bodies of the game of golf is going to reconsider this proposed rule change. Lord knows my putting does not need another reason to be suspect.